The service was lousy. The food was great. The wine was OK. The topic was disturbing. Here’s the scene: four baby boomer couples out for dinner. The three other males are longtime friends of mine…we’ve been mates since we started grade five together in 1969. The four men are at one end of the table discussing politics, sports, business and work. The four ladies at the other, chatting about what the children are up to, travel plans and whatever else ladies talk about while the men are ‘solving the problems of the world’. This question caught the attention of everyone at the table, for the simple reason six of the eight are turning 55 or older next year. Retirement, or at least the prospect of it, is occupying more conscious thought amongst our peer group. Why You Need More Than One Million to RetireThis was not the response my mate was looking for. He wanted to be told yes, 15 times is the magic figure. I suspect this is because he has done his ‘back of the envelope’ calculations on when this 15 times figure and his age will meet.For those whose strength is not math, please allow me to demonstrate why my friends’ visions for retirement began to evaporate. A $500,000 shortfall in your retirement capital is more than just a rounding error. Considering it has taken all your working life to accumulate $750,000, how many more years of servitude need to be endured to bridge the gap? My response of, ‘Maybe, maybe not,’ didn’t help clarify matters. My friend is well read. He has two degrees. Holds a senior executive position. And is one of the nicest people I know. So it took all of my willpower to stop myself from shaking him. In the interest of not ruining a fun night and getting bogged down by facts and figures, it was better to let the conversation drift back to topics of far more importance – like, would Australia beat England in the rugby league World Cup opener? I would have referred to Ed Easterling’s (Crestmont Research) report titled: ‘Destitute at 80: Retiring in Secular Cycles’. 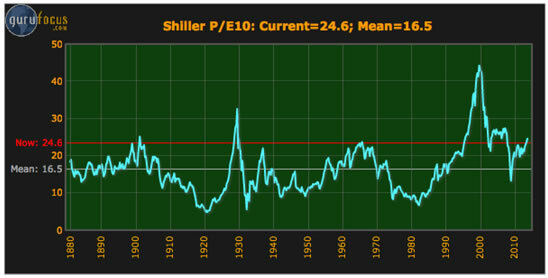 My friend is correct; the share market has averaged over 8% per annum over the long, long term. However, an average consists of high, medium and low data points. For instance, retirees investing in shares in 1982 managed to ride the most extraordinary share market boom in history. The All Ords index expanded from 450 points in 1982 to over 6800 points in 2007. After twenty-five years the fortunate retiree experienced a fifteen-fold increase in capital value PLUS dividends. The 1982 to 2007 period was a high point in the compilation of market data. But can it be relied upon to repeat itself for baby-boomer retirees? History says no. The 8% per annum average return my friend mentioned is comprised of 4% income + 4% growth. The only probable constant in this equation is the 4% income (and that could vary depending upon the business cycle). 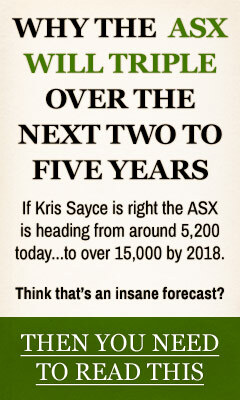 The 4% growth may or may not eventuate – the Australian share market is still 20+% lower than where it was six years ago. The 4% probable income return is why I selected 25 times retirement income as the capital value; $1.25 million x 4% = $50,000. Personally I think the multiple on retirement income should be much higher, as the Great Credit Contraction (leading to an unprecedented bout of deflation) could shrink income returns even lower – however this little piece of ‘good’ news would have really killed the mood of the evening. In addition to the prospect of lower income returns, there is the very real prospect of the boomer generation living well into their nineties and beyond. So a strategy based on squeezing every bit of ‘hoped for’ return from your capital in the early years of retirement is a recipe for financial disaster – in my humble opinion. Ed Easterling’s report was far more scientific and mathematically based than my back of the napkin doodling. His report ran the numbers on a retiree with $1 million wanting a $50,000 income (5% return) over a thirty-year period. He then calculated their odds of success based on if they had invested when the market (as valued by Price/Earnings or P/E – ratio) was overvalued, fair value or undervalued. A retiree who invested when the market P/E was greater than 18.5x (the top quartile) had less than a 50% chance of their capital surviving 30 years. The average outcome for investors in this quartile was a LOSS of $850k. The best outcome was for those who invested in the bottom quartile, when the starting P/E was less than 11.2x. This group of investors had a 95% chance of success and on average turned their $1 million into $7.6 million. So Which Quartile is the Market in Today?According to the Shiller P/E 10, the US market is well and truly in the top quartile – signals should be flashing ‘WARNING, WARNING TOXIC INVESTMENT AHEAD’. Conversely when the P/E dips below 10x (the bottom quartile) there is a clear signal markets stage a long and strong recovery. However for a market to have reached this depressed level, it has created such carnage, very few people are remotely interested in investing – we are indeed strange creatures…buy high and sell low…go figure. Instead of ringing the alarm bells, the investment industry is quite happy to perpetuate the myth that in the long term shares always go up. The reality is the long term is your life expectancies. If the market decides to repeat the rhythmic pattern of high to low P/E during your retirement years, then ‘in the long term’ (together with your capital) will mean precious little to you. To be fair Easterling’s report is based on a portfolio invested 100% in shares. Very few retirees commit to this asset allocation. However the average balanced fund does have a high percentage (60-80%) allocated to ‘growth’ assets – Australian shares, international shares and property. Therefore the lesson in Easterling’s report is still relevant. Growth assets do not always grow. My message to our friends is to err on the side of caution. Better to stay another few years in the workforce and accumulate a healthy capital buffer than to spend the last decade or more of your life living hand to mouth. Perhaps the really lousy service we experienced during last Saturday night’s dinner was fate’s way of signaling how frustrating it would be to become dependent on someone else providing for your needs.